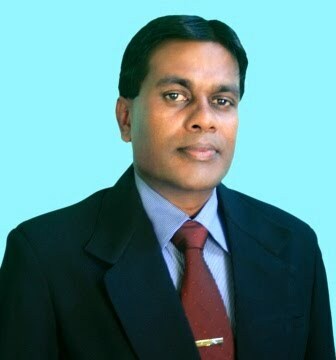 Matara, Deputy Mayor Ranjith Yasaratne has been appointed as the Mayor of Matara. Ranjith Yasaratne, who was first elected to the Matara Municipal Council in 2004 , became the city’s opposition leader at that time. in 2006 Mr.Ranjith Yasaratne was able to become the Deputy Mayor in Matara.In his time , Matara Municipal Council became the best local body in the Southern Province in 2005,2006 and 2007 and the third best in the island last year. People in Matara believe he has the right vision in every subjects in politics and also with very powerful voice at expressions,still young in age, has a long way to go in politics to the top positions.He treats everyone as equal without party politics, because of that everyone loves him and wishes for his success at the top position in the city.He has proved that obtaining the 2nd largest preferential votes by the people at the last election. The new Mayor Ranjith Yasaratne has three daughters named Rameesha,Radeesha and Wasana ,he lives as a simple man ,always helping to the people in the city ,winning the hearts of the people. We heard that he has denied the luxury vehicle that has been used by the late Mayor,without obtaining them. That's him, why people love him and vote him.That's why people need him in the future too. He is an example to many of other politicians. We ,Star Lanka Online , wish for The new Mayor Ranjith Yasaratne,best of luck and to be successful in every aspect and to fulfill the Matara people's dreams.Also we are very proud of him because all of his children are connected as students with our institute, TFGE, The Future Global Educational Center.